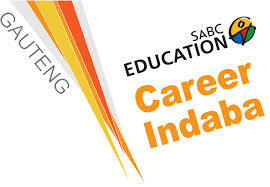 Radio pioneer, Gareth Cliff, The Parlotones frontman, Kahn Morbee and leading organisations such as Rand Water, Liberty and South African Airways, are just some of the exciting names we look forward to having at this year’s SABC Education Career Indaba. 2015 sees the fourth edition of the annual Career Indaba expo at the Sandton Convention Centre from 18-19 May. Career Indaba is a free-to-attend student event, and for the first time will host a dedicated Parent Networking Evening between 17:00-19:00 on 18 May 2015. “Last year we signed a historic three-year partnership with SABC Education and since then we have been taking Career Indaba to the next level” says Event Director, Tanya Jackman. Rand Water is this year’s platinum sponsor, Education & Development Practitioner Yvonne Nel explains: “SABC Education Career Indaba is the ideal platform through which Rand Water can make students aware of our initiatives and objectives. Skills development plays a vital role in our organisation, which is why we will be providing students with the opportunity to take up positions in our internships, provide bursaries, offer apprentices and graduate development programmes at Career Indaba 2015”. Also exhibiting at Career Indaba is gold sponsor: Liberty, silver sponsor: South African Airways, and bronze sponsors: Lafarge and South African Jockey Academy. Students will have access to many of the answers they may be looking for from leading corporates, universities and employers. Gareth Cliff, founder of Cliff Central and Kahn Morbee, lead singer of The Parlotones will be joining Career Indaba 2015 as celebrity guests. Students will have the opportunity to interact with them during their dedicated workshops slots aimed at inspiring students to work hard and reach for their dreams. With the host of top employers, local universities and TVETs that will be at this year’s event, parents are encouraged to attend Career Indaba with their children and assist them in realising their potential.